Our Dallas office is located off of Market Center Blvd. and Oaklawn. Visit www.robwiley.com for detailed directions to each of our offices. 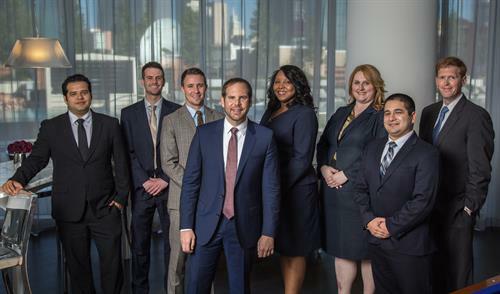 The Texas employment lawyers at Law Office of Rob Wiley, P.C. represent clients in a wide variety of employment and civil rights areas. These employment disputes often involve unpaid wages, overtime disputes, tipped employee wage violations, race discrimination, gender discrimination, disability discrimination, pregnancy discrimination, sexual orientation discrimination, sexual harassment, workplace retaliation, leave issues (FMLA), and/or wrongful termination. If you wish to inquire about representation, visit at website at http://www.robwiley.com. We fight for employee rights in the workplace. If you have a dispute with your employer, contact us today. We have offices in Dallas-Fort Worth, Austin, and San Antonio. Have you suffered from race discrimination in the workplace? Has your employer failed to pay you overtime? Are you the victim of gender discrimation at work? Have you suffered from workplace retaliation? Have you been denied FMLA leave?